No great DJ was ever successful without a good set of DJ headphones. Headphones are imperative to being able to mix great tunes and get the crowd going! That is why we have put together a list of reviews on the 15 best DJ headphones of 2019. By the time you get to the end of this post, you will be ready to make an investment in a great set of headphones that will be your wingman in putting on an outstanding show. Our reviews will give you the rundown on features, new technology, and usability so that you can purchase headphones that will make you look like a musical genius! The #1 headphones we reviewed. An excellent all-rounder. The best value for money headphones we reviewed. Our premium pick headphones on the higher end of the price range. 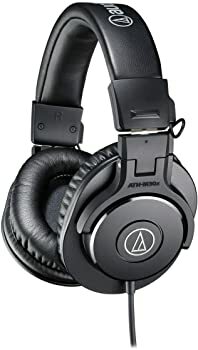 Rated one of the best DJ headphones under $300, the Audio-Technica ATH-M50x Professional Studio Monitor Headphones fit over your ears and are comfortable. The materials used to create and build this piece of equipment shows great engineering and the ability to understand what one is looking for in a great pair of headphones. For example, made of 40mm drivers with earth magnets, copper-clad aluminum wire voice coils, this item is great for anyone looking for a way to hear their favorite tunes without breaking their bank account. Other features of these headphones include the ability to tune for enhanced low-frequency performance, specifically designed to contour around the ears which provides for great sound isolation in rowdy, noisy environments. A single-side cable exit makes using this item frustration free and easy to transport without tangling in your backpack or around other items. Consumers all over the world are raving about this item as it is relatively inexpensive and provides a great quality experience for the listener. Additional accessories can be purchased for other purposes. 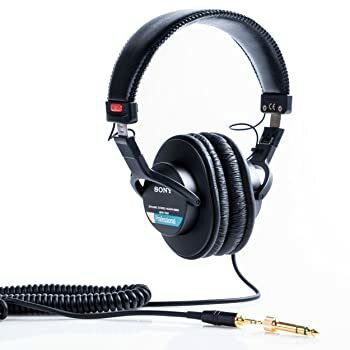 Not your typical cheap DJ headphones, the Sony MDR7506 model is professional and highly sought after by consumers and experts in the music industry. Rated as a number one best seller and marked with consistent high reviews on many websites, you will not regret this purchase. Made with neodymium magnets and 40mm drivers, many rave about the great sound quality produced by this item. Included in your purchase is a a soft case for storage or travel as the headphones fold up. The frequency response is 10Hz-20kHz, and the design allows for closed-ear comfort and the ability to greatly reduce external sounds from interfering with your music. A 9.8 foot cord is attached and includes a ¼” adapter. The cord will coil, however it is not detachable. Satisfied consumers have noted that the design is rugged and tough which is creates dependability in tough situations. Lightweight and weighing under a pound, this set is great for those who are interested in a quality piece of equipment to use while listening to music, practicing their broadcasting skills, or playing video games. This model is raved to be more than just good headphones. 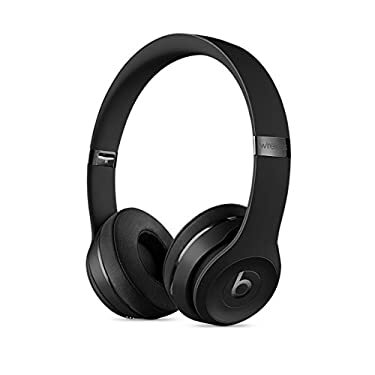 With thousands of five-star ratings on many websites, the Beats Studio3 Wireless Headphones creates a very real experience for the listener. When using this item, you feel like you are on a live set with the artist as the sound is clear and crisp. What makes Beats so great is the DSP software that is designed specifically to create an emotional experience for the listener. This feeling is generated in part due to the ability to silence noise that is around you because of the dual-mode adaptive noise cancelling capabilities. Other additional features include a built-in rechargeable battery that can last up to 12 hours when using wirelessly. If you use your headphones while plugged in, you can expect a whopping 20 hours of usage before needing to recharge the battery. There is also an automatic on and off feature that helps to limit the battery usage when the item is not engaged in use. It is important to note that you just need a USB cord to charge the headphones which can be very convenient. Lightweight, convenient, and reliable, Beats also come with a remote talk cable, USB 2.0 charging cable, hard shell carrying case, and a limited warranty card from the manufacturer. If you have already invested in a great set of PA DJ speakers, it is a good idea to look at purchasing a high quality set of headphones to add to your equipment. 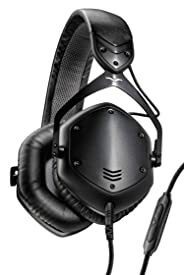 The V-Moda Crossfade M-100 model is known for outstanding quality, reliability, superb sound resolution, and great construction at a budget-friendly price point. The M-class sound is award-winning as it has been tuned by over 200 audiophile professionals. In addition, the 50mm dual diaphragm drivers are patented and separate bass from mids to highs. Industry editors and audiophile experts state that this item performs with, “clean deep bass, vivid mids and ultra-extended highs.” For easy storage and mobility, they offer the cliqfold design that is so popular for compact storage. Also included with this purchase is a sleek exoskeleton carrying case with a unique V-strap system. Lastly, V-Moda backs their products with great customer service. When purchasing from a verified seller, you are able to receive a 2 year premier warranty. If you happen to break them, you can purchase a new pair under the immortal life program for 50% off. When you purchase this item, you can feel confident that the money you are spending will not be in vain. The Audio-Technica M-Series of headphones offers great monitoring abilities combined with advanced engineering and quality materials for a comfortable user experience. Enhanced audio clarity and the ability to isolate sound and external noise, make the ATH-M30x model considered to be the best budget headphones on the market today. It is noted among many users that there is a strong mid-range definition allowing for flexibility in many instances. For example, if you are playing in a nightclub versus just listening to music at home, you will experience the great quality of sound in each venue. While these headphones were created for studio tracking and mixing, they are able to be used in field recording instances or just listening to music in the comfort of your own home. 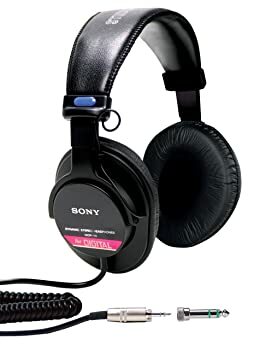 Users note that they are able to successfully use these headphones with iPhones, tablets, AV device, and computers. Audio volume tends to be under medium strength when using with these devices. Use these in the studio with expensive equipment and you will still be satisfied with their performance. If you want a great item that is known to perform well at a reasonable price, this item is for you. Broadcaster’s, radio professionals, DJ’s, and other experts in the music industry all recommend this as a great value for the money spent. 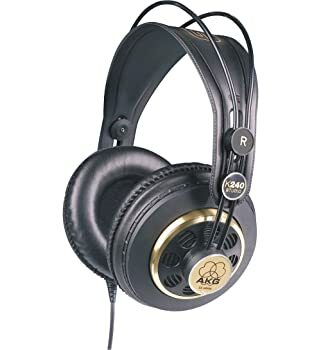 This model is known to be one of the top 15 headphones available in 2019. 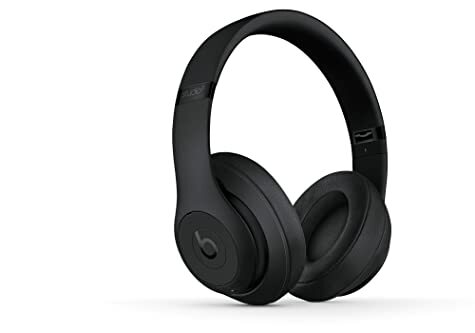 Both consumers and professionals rave about the Beats Solo3 Wireless headphones leaving positive reviews on every website imaginable. What makes this product so great is the fact that they are wireless and have up to 40 hours of battery life. This is great for those who want to use them while on a weekend getaway or over a few days without charging them. Although it is unknown whether or not these headphones are good for DJ usage, most who have purchased or left reviews for this item have been avid music listeners or hobbyists. Another great feature is the ability to connect to your favorite devices via bluetooth technology without having to worry about sound quality diminishing. The bluetooth is rated a Class 1. The adjustable fit of the headband and the soft, comfortable ear cushions make this item great for everyday use. You can even take phone calls, control music, utilize Siri on your iPhone with the multi-functional ear controls. These lightweight headphones are perfect for anyone regardless of age, experience, and expertise of the music industry. You will receive a carrying case, 3.5mm RemoteTalk cable, universal USB charging cable, quick start guide, and manufacturer warranty information when purchasing this product. While popular culture boasts that the Beats brand is the best noise isolating headphones available on the market, the Sony MDR-V55 model can give them a run for their money so to speak. 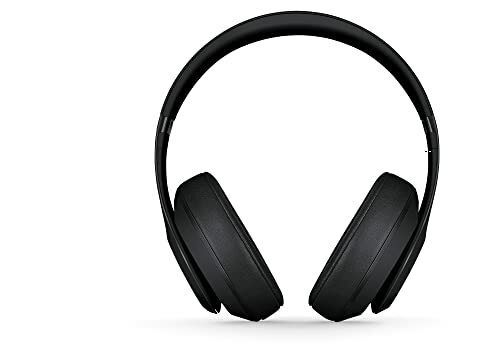 Available in only black, this model is outstanding and provides great sound quality and a unique listening experience for a fraction of the price of other well known brands. Often made with the same materials as other brands, this model is described as circumaural, offering a closed back design. Unique features include neutral playback with swiveling earcups that also fold flat. This is great for traveling or packing in a backpack during the school day. It is important to note that one earcup is reversible which is perfect for DJ usage. Both earcups are padded and adjustable making this product outstanding for those who want to wear them for an extended period of time. This product is great for recording, monitoring, mixing, or DJing. Unlike many on the market, they can be connected to an electronic keyboard or synthesizer because they have a high output 40mm driver with Neodymium magnets and 5.0Hz to 25kHZ range in frequency. Most notably, these are offered at an outstanding price point that is accessible for any budget. 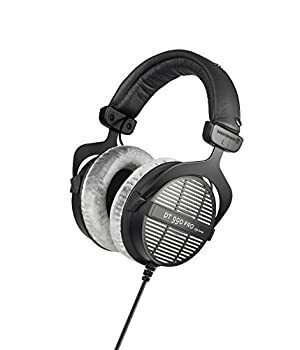 Designed in the early 1980s, the Beyerdynamic DT-990 Pro is known as a top headphones brand and product series. Endorsed by audio professionals from all over the planet, these are designed to be different. Featuring an open diffuse-field studio headphone style, 250 ohms, and great sound reproduction. In addition, the DT 990 Pro has been awarded many times over by industry professionals for its quality construction and superb sound quality. These headphones are best suited for monitoring and studio use applications. Part of what makes this set of headphones so great is the fact that they are easily serviceable should a piece break. All parts are replaceable. The rugged design includes a spring steel headband that makes for a secure fit around the head. The headband is soft so it will not hurt while wearing them for long periods of time. The ear cushioning was also created to withstand long wearing time and have been described as exceptionally comfortable by many. The ability to create such comfort with the expectation of long wearing time is from the lightweight construction and weight reduction of the diaphragm. Also included is a 3.0 m (9.8 ft.) coiled cable single sided cord and drawstring bag for easy carrying and storage. This model of headphones are consistently noted as recording artists and music lovers favorite headphones for clear sound and great comfort at an affordable price point. Ideal for studio usage, this product can easily be used with the best DJ controllers. The closed-back design prevents sound from escaping into live mics. The over-the-ear fit coupled with thick comfortable padding allows for long studio sessions with minimal to no discomfort. Because of the large 40mm drivers that are tuned for low-frequency usage, you can expect great bass thumping, smooth midrange, and high frequencies. 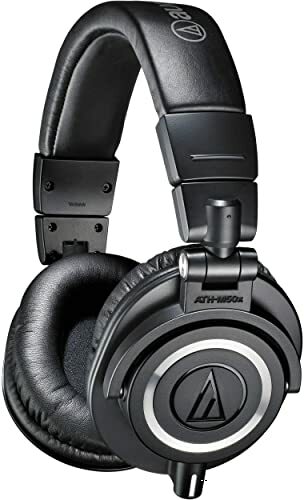 While these headphones can be used by professionals because of the great sound quality and performance, hobbyists can also appreciate the advanced technology in outstanding sound quality put forth by the Audio-Technica ATH-M20x. Other notable features are circumaural designed contours for around the ears and great sound isolation in loud areas. The earpads are comfortable and durable and will not hurt the earlobe while wearing them for an extended period of time. They cover your ears completely and are snug-fitting. It is also important to note that you can use these with laptops, iPhones, or tablets as well as other DJ equipment. Lastly, these headphones have a single-side cable exit for your convenience. Another wonderful product by Sony, the MDRV6 is rated a top model and best on ear headphones by consumers and professionals alike. Highly regarded for their craftsmanship and durability, this item is priced to sell. The sound quality is superb and provides exceptional clarity, vast frequency range, and solid bass response. An additional feature that is critically acclaimed as outstanding is the 90 degree swiveling earcups. This is great for one-ear monitoring. Many also marvel at the detachable cable that you do not have to worry about tangling up or getting in the way of activities. Weighing just 2 pounds, these headphones can easily be folded and put into a bag or a purse for easy transporting. Sony is a wonderful, well-known brand that is respected in the music industry. The MDRV6 consistently receives outstanding reviews from consumers like yourself and professionals in the industry. You can feel confident in this purchase of noise-cancelling headphones at a reasonable price point. Want to know more about these headphones? When you need a new pair of DJ headphones the most important thing for your sets is that you have a pair of headphones that give you both high-quality sound and high-definition bass. The Behringer HPX2000 headphones do just that and at a very reasonable price. For just under $40, the HPX2000 model is a bargain and a great choice for beginners that just want to try out DJing casually. The Behringer HPX2000 not only provides you with quality sound but you don’t have to trade in comfort for that quality performance. The HPX2000 has two padded and rotating reversible ear cups that fit nice and snug over your ears. Headphones are a key piece of equipment for all musicians especially DJs. Therefore its essential that when buying your pair that they provide you with everything that you need. Probably the key feature of the V-MODA Crossfade LP2 headphones is the ability they have to completely cut out external noise. This is a feature very important for DJs that need to hear what they are playing in order to put on the best performance possible. The durability of headphones is another key quality as when buying an expensive pair of headphones you want to make sure that they last. 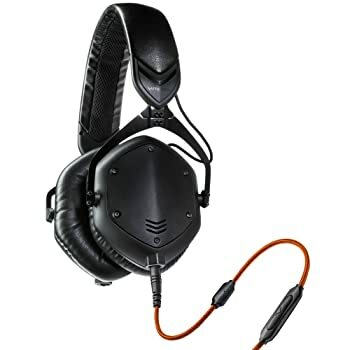 V-MODA decribe the Crossfade LP2 as having military-level durability so you can be sure that if you purchase these DJ headphones, you will get your moneys worth. Voted as one of the best studio headphones for the money by many in the industry, it is important to note that even at such an affordable price point, you do not have to sacrifice quality. This model is well known among aspiring music professionals as a great, quality product that produces great sound and limits noise from the surrounding area in which you are listening. Particularly important when using DJ software, quality of sound is of utmost importance as you are most likely creating something unique and you need to be able to hear all the intricacies of the notes. The AKG K240 Studio can be used with tablets, laptops, iPhones, Android products. Easily transportable due to the durable design, many boast that these are a great set of backup headphones. It is recommended to keep them in studio or add them to your music bag while traveling. If you have a malfunction with your primary headset, you can easily switch to the AKG K240’s and not miss a beat in the action. It is not recommended that these be used in live venues while DJing as they do not offer a swiveling earpiece or the ability to use as a stand alone speaker system like other models. The Audio-Technica ATH-M40x are a popular choice for DJs due to the sound isolation and rotating ear cups which always comes in handy for DJs that like to take off one headphone during their set. Audio-Technica made the ATH-M40x with pro-grade materials and robust construction in order to make the headphones not only have comfort and sound quality but also be durable. While our experts recommend using this product with your favorite DJ turntable, you can use them for other professional uses in studio or even at home. 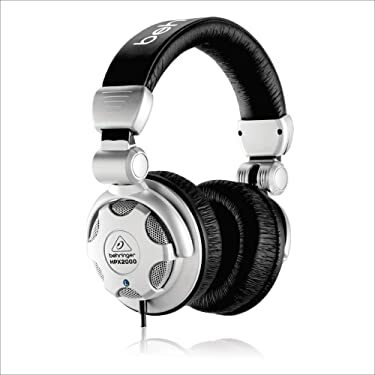 The SR850 model by Samson provides music enthusiasts as well as DJs with a great choice in headphones. 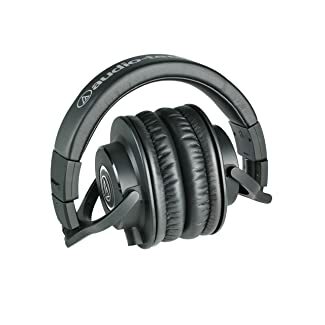 These over-ear designed DJ headphones comfort for hours, great sound quality with solid bass response and they weight just over 1 pound making them very portable. The headphones come with a comfy and self-adjusting headband to allow you to easily fit on the headphone to your own comfort and make sure that they stay secure during your set. If you are a new to the industry and want a highly functioning pair of headphones to wear while using a DJ mixer, consider this model. We are constantly researching and reviewing products that are critically acclaimed as the best in their genre or brand category. This guide is meant to provide our expert thoughts and opinions about the products we feature. This guide is for informational purposes and our goal is to provide additional information about products so that you can make better purchasing decisions. 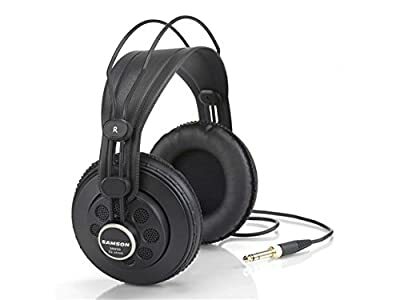 The list of headphones in this guide will provide an overview of each product, pros, cons, level of expertise needed to operate, as well as price range. We feature products that range in price as well as in technical abilities needed to be successful in using the product. The best products on our list all have one thing in common. They are made of great quality materials, are durable, and have outstanding reviews and ratings from consumers and professionals in the music industry. We recommend products that are well known to withstand the test of time and provide what they advertise to do. 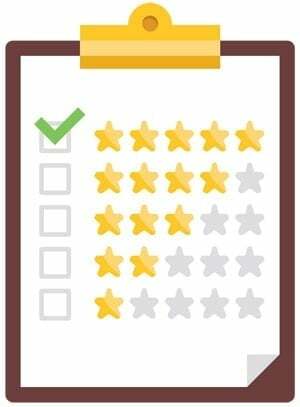 You will notice that each review will highlight the features of the product along with any limitations that could be improved in future manufacturing. We also note, when available, any warranty or customer service information so that this may help you in the buying process. For example, you may find that you are willing to pay extra for a pair of headphones that is backed by a limited manufacturer warranty. Often times, it is not openly advertised if a company will provide a warranty and we spend a great amount of time to find out which companies do so that we can include it in this guide. In an effort to make the list of items in this guide diverse and inclusive of all price ranges, we have featured high end models as well as products that are reasonably inexpensive. It is a myth that you have to spend hundreds of dollars on an item to achieve maximum results. You may simply want a clear sound quality and not need extra features such as bluetooth capabilities or a carrying case and therefore purchasing an item without the frills will work just fine for you. Others may desire a product that has the ability to be serviced and replace parts should it break or become faulty. These specifications are outlined in the item description. It is a good idea when you plan to spend your hard earned money to sit down and research the product or item you are going to purchase. Doing so can help you decide if you are making a purchase based on need, want, or impulse. Here are a few things to consider when purchasing a new pair of DJ headphones in 2019. Want vs. Need. Consumers often make purchases based on impulse or because they want to own something that their friend has. Sometimes people purchase an item simply because it is a new popular trend of they have heard a great deal about the item through a great marketing campaign. Often times the person does not necessarily need the item and makes a purchase to find that they only use the product once or twice and then it goes to the wayside. When choosing to purchase a substantial pair of headphones, it is important to ask yourself if it is a want or a need. If you want the item for your own personal pleasure, perhaps evaluate whether you can afford the expenditure and if you will use it enough to get your monies worth. If you are in need of a new piece of equipment for your DJ business, other work, or school, the purchase can be justified and considered a necessity. In cases such as this, it is still important to consider the features that are of utmost importance and try to stay within your means. Durability. When making an investment, it is important to consider the quirks, reliability, and durability of an item. Each product in our list will highlight the construction and materials used to make the product. It is a good idea to spend money on a product that will withstand the test of time or can be replaced should it become faulty or worn. Why Do DJ’s Wear Headphones? Our experts have spent a great deal of time in the music field researching various products that are hot on the market in 2019. We are confident that we have provided you the best DJ headphones available and we have featured our favorite 15 products. Whether you are a long-time music lover, hobbyist, or professional in the industry, this guide will surely help you find the best item to add to your collection.